I like the Activity and Idea Books that Julia Cook has written to accompany her wonderful books. 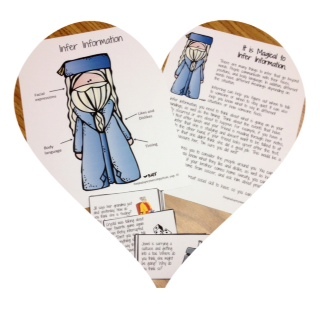 The Supplemental Teacher’s Guide for My Mouth Is A Volcano has a visual reminder called “Button Up”. 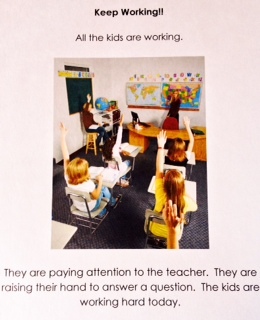 Visual reminders are key when helping students to learn not to interrupt or blurt out in class. 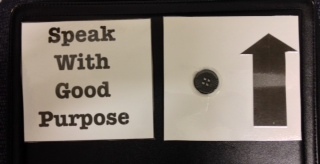 This visual reminds students to “Speak with good purpose” or “Button Up”. I knew my students would need some explanation about what it means to speak with good purpose, so I started doing some reading. Today in the lunch buddies group, this is what I told them- what we say to others and to ourselves can have a huge impact. If we stop and think before we speak instead of just blurting out whatever pops into our heads, we can learn to speak with good purpose. 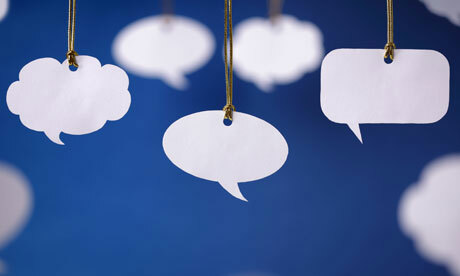 Will our words encourage? We all have negative thoughts sometimes, but we don’t have to say everything we think. 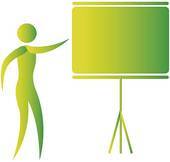 Sometimes our teachers need to teach without interruptions. That is the time to “Button Up”. Often, our teachers want us to ask questions and participate in class discussions and that is the time to speak with good purpose. 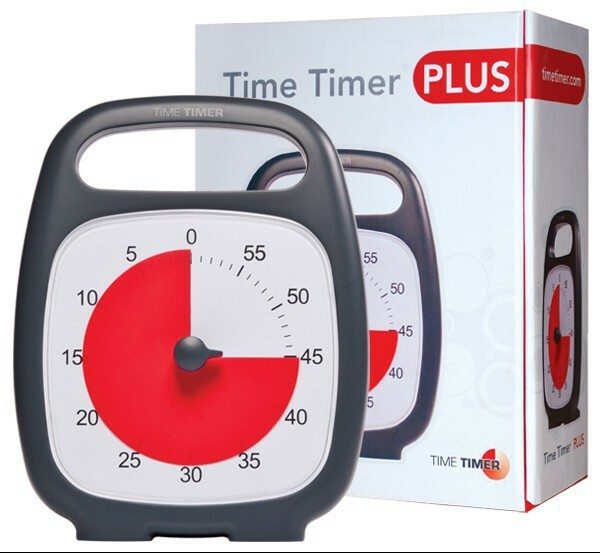 These visuals will help us all learn to know when it is the right time to button up (no blurting or interrupting). The visuals will serve to remind us that it is not a good idea to say everything that we think. The new yoga pose for today is the Open Heart pose. 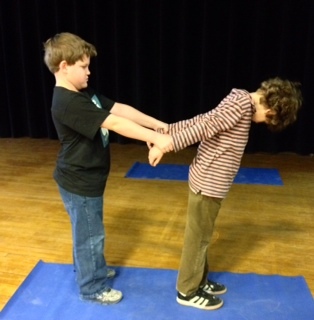 Partner poses encourage trust and communication. 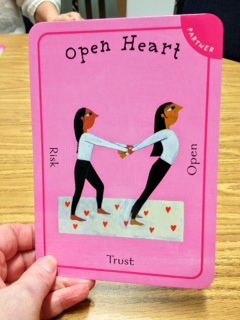 The Open Heart partner pose encourages opening up to risk and trust. First tries were good tries. I am sure the Open Heart pose will become a part of our routine. 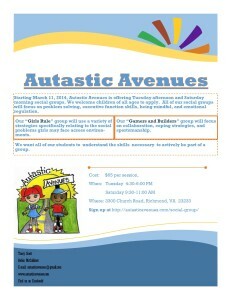 Autastic Avenues is offering weekly social skills groups beginning March 11. 2014. Visit http://www.autasticavenues.com for more info and to sign up. One of the featured activities for 3rd grade is What Planet Are You On? created by The Dabbling Speechie. Check out her site at http://www.thedabblingspeechie.com. 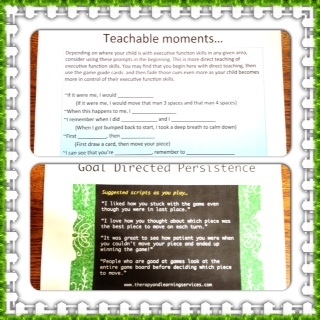 The activity is available for purchase at http://www.teacherspayteachers.com. This activity is great for perspective taking, expected/unexpected behaviors and making impressions. The students used their skills to assist aliens in understanding and thinking social. 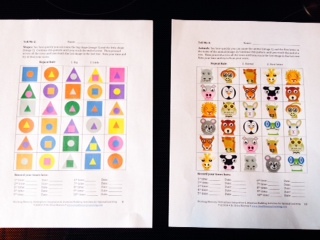 The featured activity for 2nd grade is by KIDS CODES Helping Kids Figure It Out and available for purchase at http://www.teacherspayteachers.com. 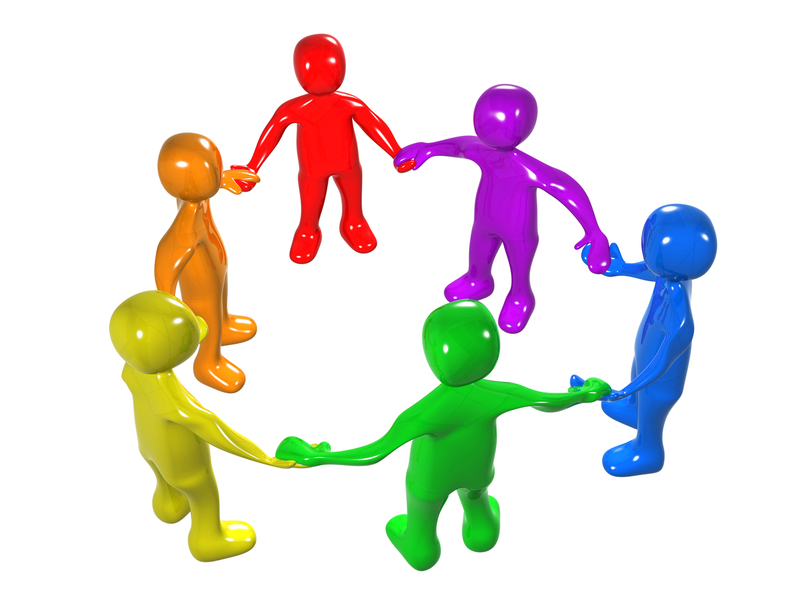 The activity is called Expected vs Unexpected Behavior While Working or Playing in a Group. Given behaviors, the students decide if they are expected or unexpected. They must keep in mind the setting-working or playing in a group. For the 1st grade girls, I brought out a game that has not been in the rotation for a good while. Guess What I AM! Place your face through the space of the card. The students must look at all the players as they ask questions to gather clues and make a smart guess about what silly character they are. 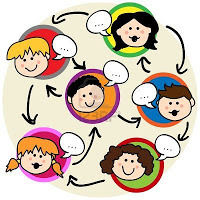 Each player must say the name of the friend before asking a question so that everyone knows to whom the question is posed. Holding all the clues in memory in order to make a smart guess is a hard task. Do they look like they are having a blast? Self-regulation is established through internalized self-talk. 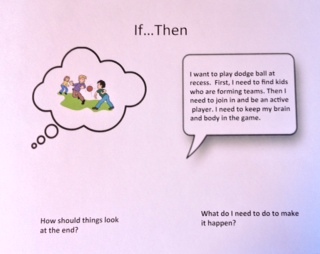 Self-talk precedes the development of planning and problem solving. Many of the lunch buddies need us (the adults) to help them find the words to self-regulate. 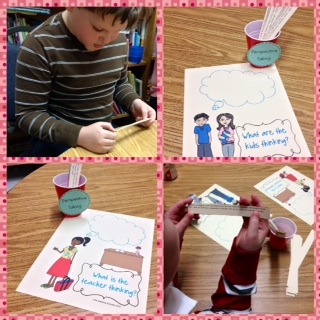 We are providing models of self-talk scripts and making scripts visual. 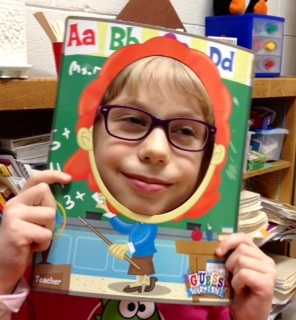 This wonderful curriculum gives us scripts that help students be flexible. There is a Big Deal/Little Deal script that helps students distinguish between what is important and unimportant. It also provides a strategy for changing a big deal into a little deal. Two other scripts, Choice/No Choice and Handling the Unexpected are provided. We also like http://www.projectlearnet.org/tutorials/impulsiveness_disinhibition.html. This site gives us instructional strategies to assist students with self-regulatory difficulties. There are video illustrations for each script. An example is the Ready/Not Ready script. We always want to consider a way of fading the external support over time. Learning from the work of Sarah Ward (https://cognitiveconnectionstherapy.com/) is benefiting our students. If you do a Google search of Sarah Ward Executive Functions, you will find several pdf documents of handouts from her presentations. Here is a sample of a self-talk script that I created for one of our sweet girls who doesn’t know what to do to make positive things happen. With some students, we have to teach/provide the script. Ms. Ward instructs “Don’t cue to do-cue to know what to do”. 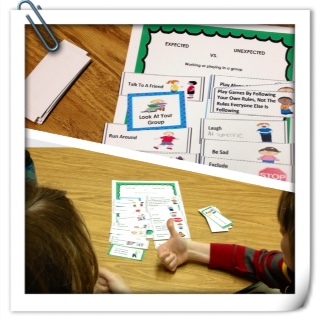 Visit Jennifer Hatfield’s store at http://www.teacherspayteachers.com and see her great Executive Functions Game Guide. She has created suggested script to use as you play the game Sorry! with your child. Check out her website http://www.therapyandlearningservices.com for more executive function info. I will be in school on President’s Day, will you? My favorite holiday is Valentine’s Day. Red, pink, flowers, and chocolate-all my luvs! My sweet-hearts like this great perspective taking activity. Given a scenario of student behavior, the lunch buddies make smart guesses about “What are the kids thinking?” or “What is the teacher thinking?”. What does the given expected or unexpected behavior make the teacher think about that student? How do their classmates feel about them because of the behavior? 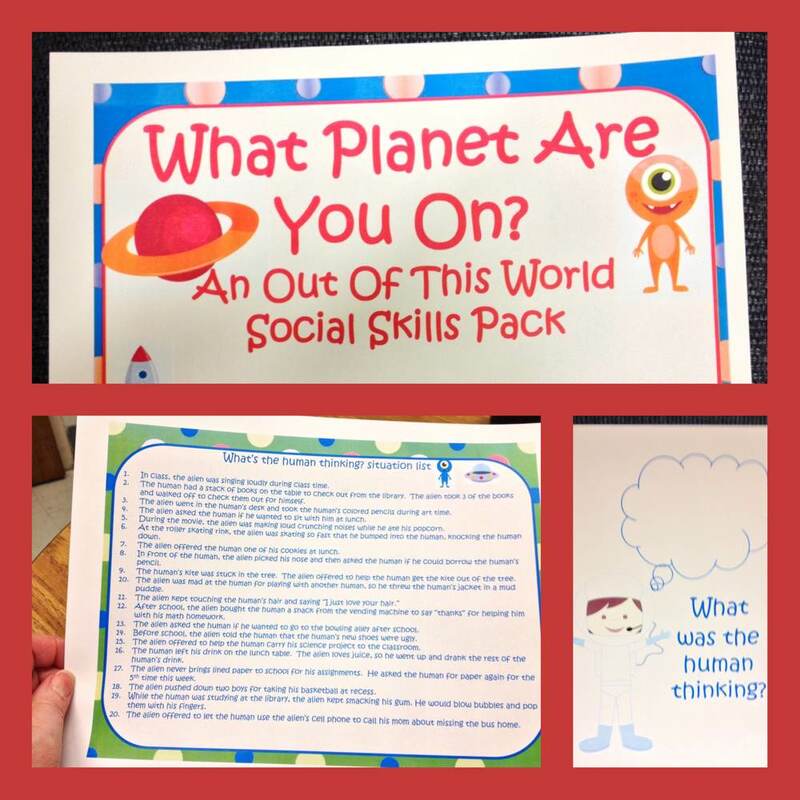 The Dabbling Speechie has created this giant packet called Social Skill Breaks. It is available for purchase at www.teacherspayteachers.com. Visit the blog at http://thedabblingspeechie.com. 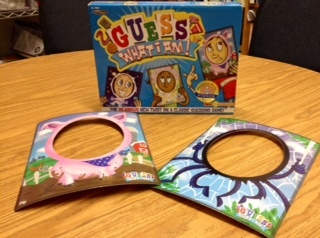 The social skills groups use this activity while we eat our lunch before we play a game. The second grade lunch buddies luv the Infer Information visuals and activity from http://superpowerspeech.com and available for sale at http://www.teacherspayteachers.com. Visit her store for more great social thinking skills activities. I particularly like the power cards and the social stories that are a part of each social concept. Inferring means making a smart guess. A smart guess is a well informed guess. Inferring is not predicting. Inferring is making a smart guess about what is happening right now. This activity helps the students understand that facial expressions, body language, what they already know about a person, and their own past experiences help us to “read” a person or group and make smart guesses about their intent or their thoughts and feelings. Wilma Jean worries about everything. Because of her worries she gets stuck and cannot do the things that she really likes to do. 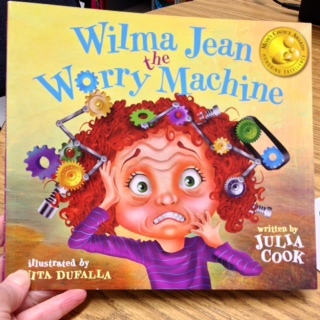 In this book we see how Wilma Jean learns to deal with her worrying with the help of her mom and teacher. The students liked the helpful strategies too. We are working toward a paradigm shift at my school. We are using words such as executive dysfunction, working memory, and social thinking. We are discussing, for example, how a student may know all his spelling words one day, yet be unable to spell a single word the next day. This student may have been accused of having a “selective memory”, when in reality the problem is not related to selection but to storage and retrieval. We are discussing impulse control, self-regulation and making connections between words and actions. When classic behavior modification strategies to modify behavior do not work, we, the adults, must make a better plan. We need to externalize the cues that are proving to be internally weak. The students in the lunch buddies social skills groups often struggle in their classrooms with organization and self-regulation. When executive function breaks down, behavior becomes poorly controlled and social relationships can be affected. 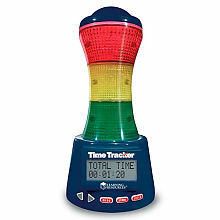 We are helping our students develop a “sense” of time. It is important for them to “see” time. 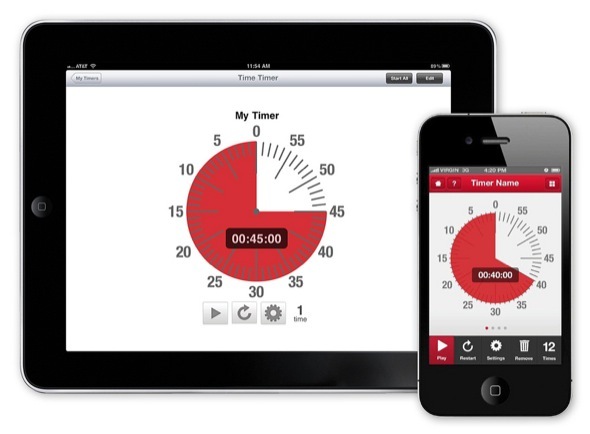 When we preview an activity we predict how much time we think we need to get it done. Then we compare our prediction with how much time it actually took to complete. Working memory is essential to helping students to be present and mindful in the classroom. I found some activities and exercises to help build working memory at http://www.GoodSensoryLearning.com. Visit the sight and review the science to see if it might be something that would work for your students. These are confrontational naming exercises from the Working Memory, Hemisphere Integration & Attention Building Activities for Optimal Learning by Dr. Erica Warren. Check back later in the week to read about how we are helping our students to further develop “self-talk”, impulse control and ignoring distractions. 40 Days 18 Hours 55 Minutes until Spring!! The forecast is more snow next week but we have our eye on the prize-Spring! It has been very busy around here. Let me show you what we have been up to. Fish Pose. Yoga goes on the list of one of the best things we have ever done. Our lunch buddies love it. 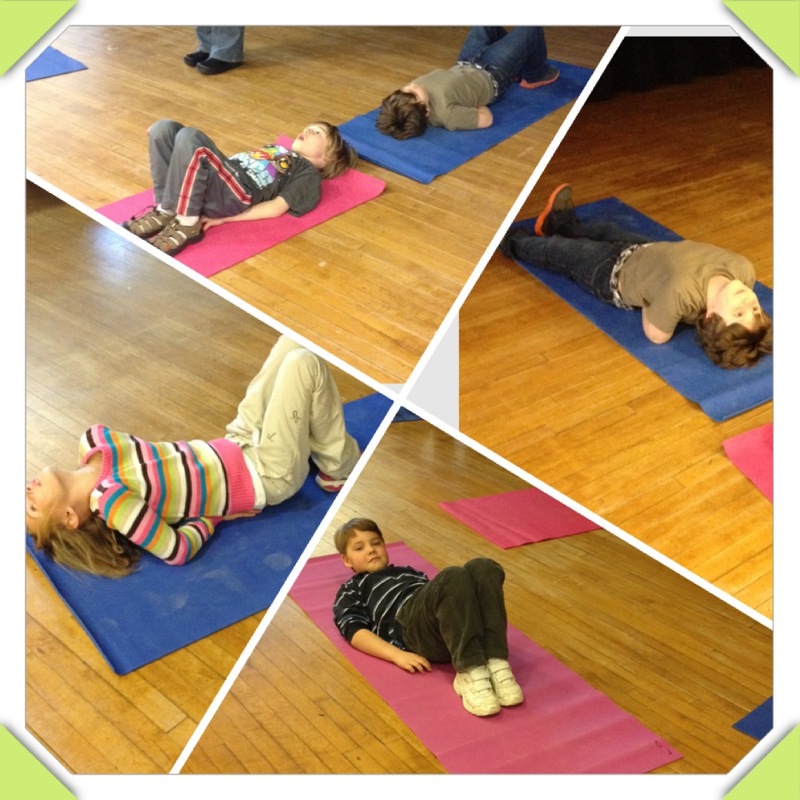 We notice how it affects their attention and focus. 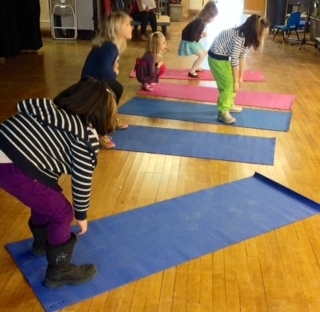 The Friday Girls started yoga this week. What a talker!. 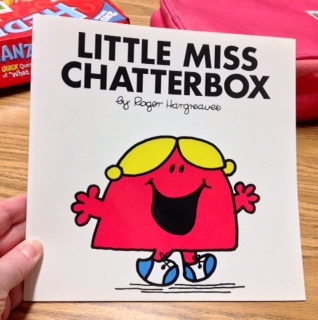 When Little Miss Chatterbox starts a sentence she just goes on and on. In fact, she uses up all the words. It is so unexpected!! 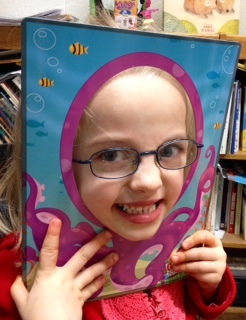 Giving in to self-centered interests like Miss Chatterbox means that your brain is out of the group. 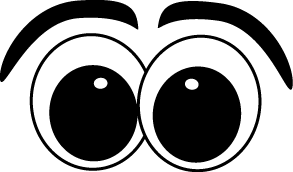 Many of the lunch buddies are much like this character from Roger Hargreaves’ series. We had fun talking about her and making a social behavior map. 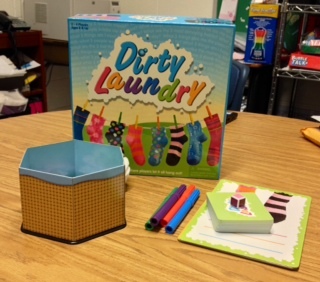 We also played Dirty Laundry this week. Playing this game helps us get to know our friends better and add to our friend files. One player draws a card and picks a question. An example of a question might be “Which 3 Wizard of Oz characters do I like best?”. All the other players write down the 3 characters that they think the first player will write down. It is hard not to write down your own favorites. This game will help us to think about others and what they like. We will expand our friend files and become better at being a “thinking of you” person. On February 5th, Mrs. Rairden and I are making a presentation to a group of teachers and para-professionals who work with young children with special needs. 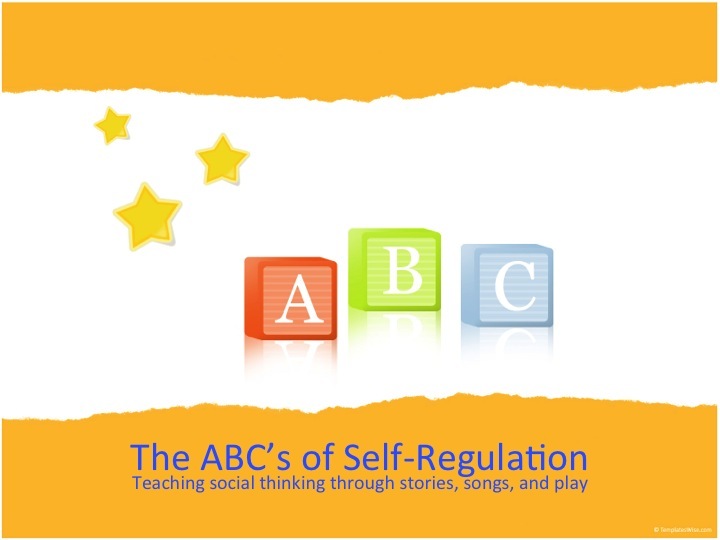 The subject of our presentation is The ABC’s of Self-Regulation: Teaching social thinking through stories, songs, and play. Self-regulation skills, such as impulse control, managing feelings, perspective taking, flexible problem-solving, and task persistence, are viewed by kindergarten teachers, as being more essential to academic success than counting and letter recognition. 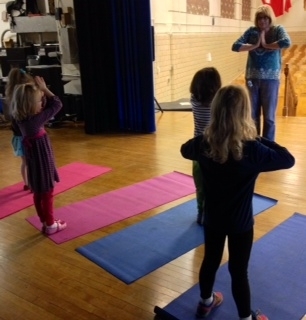 We will talk about why we use yoga to help children self-regulate. 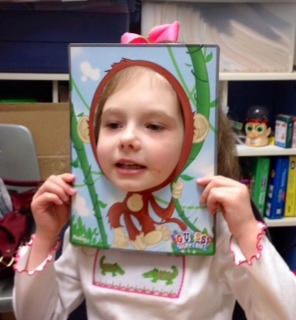 We will show participants how we use video modeling, books, songs, and play to help young children think social. Mrs. Rairden and I love to share what works for us and for the students we serve. Happy to be back in School Yesterday! After stepping on the scales this morning, I declare no more snow days! Comfort food has gotten the better of me! The first grade girl group was so excited to be back together. There was a great deal of chatter about sledding escapades. Betsy told us how she hooked the dog up to the sled and he pulled her through the snow! Getting down to business, we reviewed how we make smart guesses. Smart Guesses help us to predict what others are thinking, their intent, and what might happen next. Think with your eyes. Look at what is going on in the group or on the page. 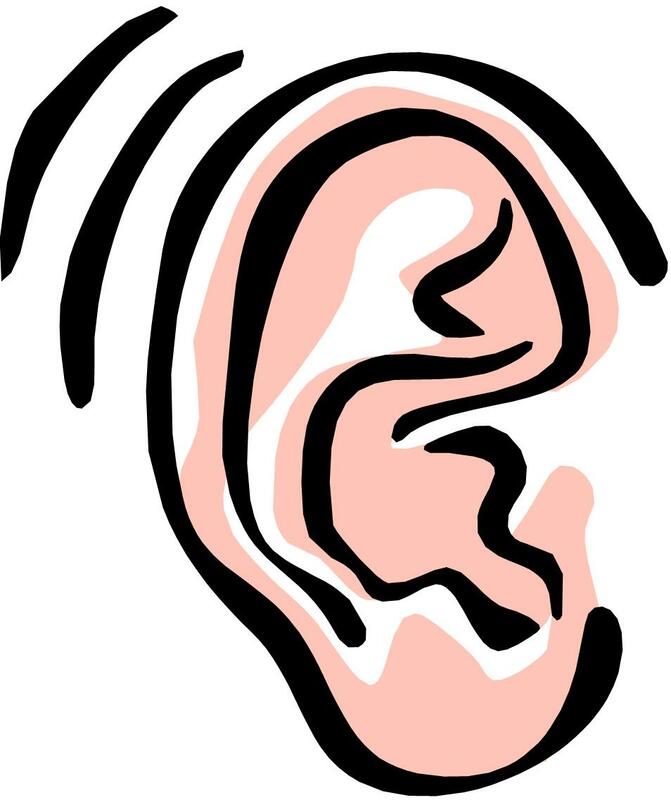 Listen to what others are saying and how they say it. Your brain is where you store those people files and experience files. Our life experiences helps us to make predictions and smart guesses about what others are thinking and what might happen next. This book is so versatile for helping students understand social thinking concepts. The adorable wombats make a plan to go for a long walk. Along the way, some of them get distracted and their bodies and brains get out of the group. Uh Oh! unexpected things happen when you are out of the group. 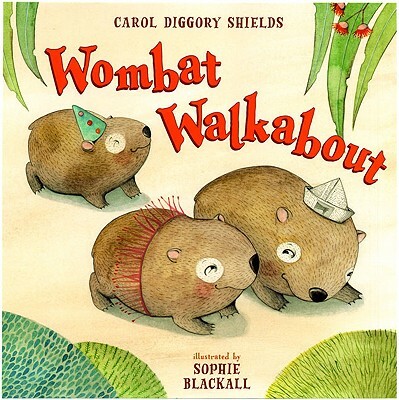 In order to rescue their friends, two of the wombats have to make a plan. The lunch buddies did a fantastic job making smart guesses about what might happen. Lots of laughs and lots of learning!